Like Vice Media, BuzzFeed and other enterprising publishers, Thrillist Media Group has officially hatched its own ad agency. Yet, The CoLab -- short for “content lab” -- isn’t your average internal ad shop, Thrillist executives insist. Rather, its differs from other publishers’ branded content teams by leveraging Thrillist’s social chops, along with its commerce business. Spanning social and commerce channels, The CoLab is letting custom research drive creative, according to Paul Josephsen, vice president of The CoLab. For each brand client, “the result [will be] a campaign that’s built on a foundation of science and research, which is where we differ from other publishers,” Josephsen said. Not exactly new territory for Thrillist, the male-focused media company has helped brands execute hundreds of campaigns over the last two years, by Josephsen’s count. According to data from Millward Brown Digital, roughly 85% of Thrillist’s homegrown campaigns outperformed category norms, in 2014. 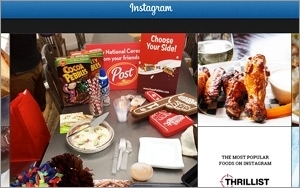 With The CoLab, however, Thrillist is formalizing its position as an ad agency. To maintain an authentic voice, the CoLab team is comprised of tenured Thrillist editors, who are working closely with media and research teams.